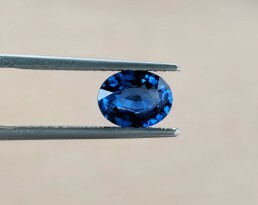 Personal Grading: “D” (on a scale of “A” to “F”) – Comment: Very Nice Stone! 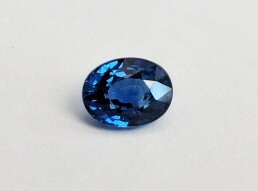 This beautiful blue sapphire is a GCI certified 2.08 carats, oval cut with very large face-up dimensions! 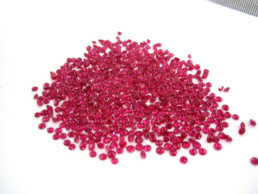 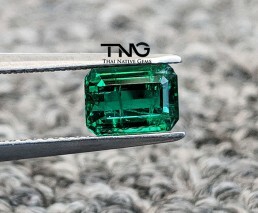 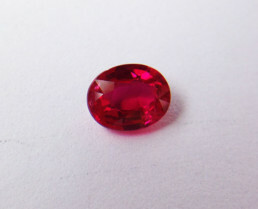 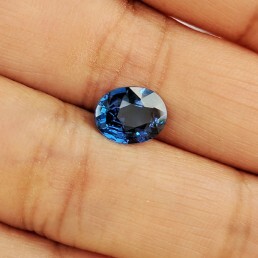 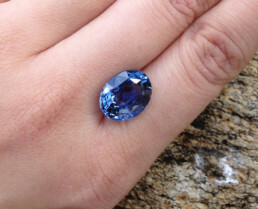 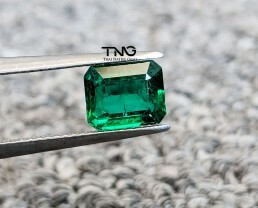 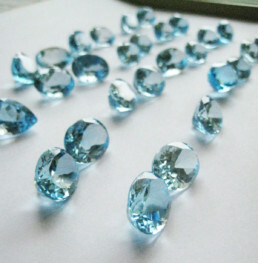 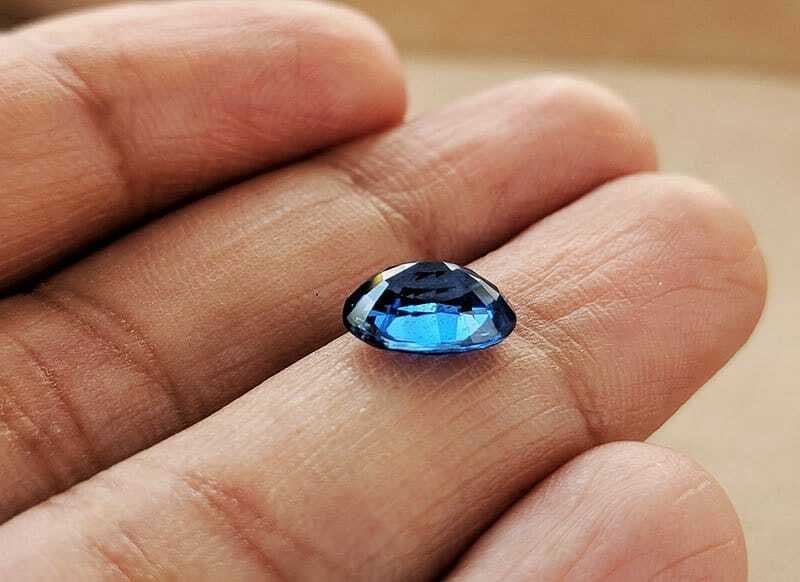 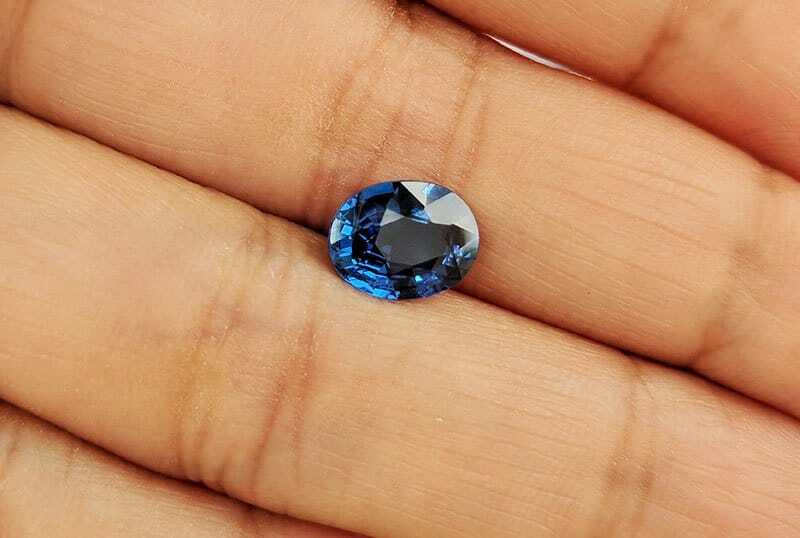 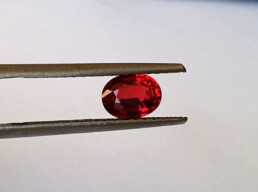 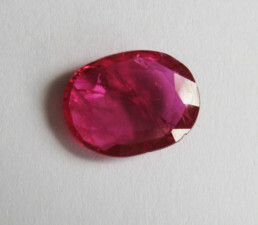 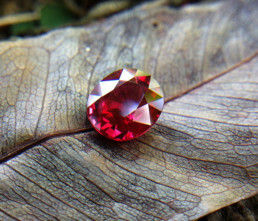 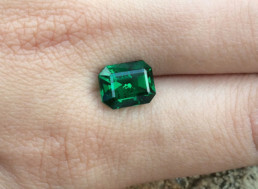 The gem is 100% eye clean with very minimal inclusions and has pleasant blue color hue. 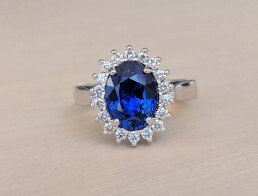 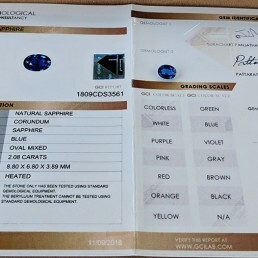 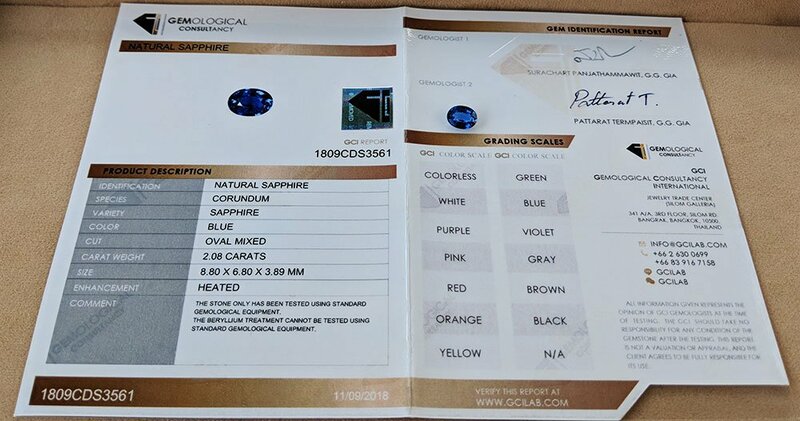 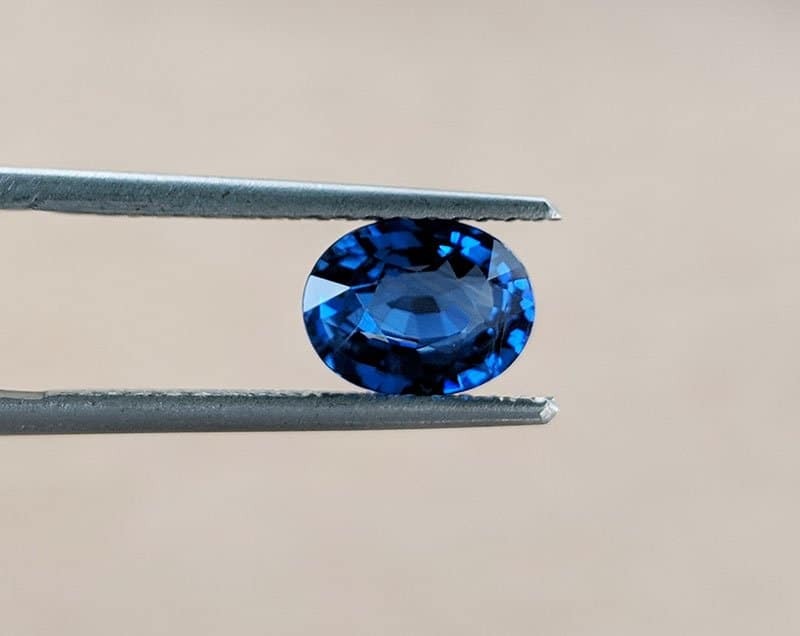 The sapphire has been certified by GCI (Gemological Consultancy International) as ‘Heated.’ This means the stone has been subject to normal heat treatment which is normal with 99% of all blue sapphires in the market. 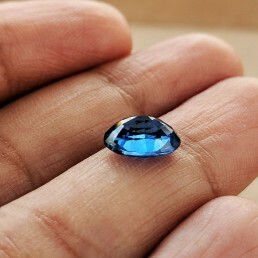 Also, there is no advance treatment like beryllium or lead glass-filled which are a lot cheaper.